To my shame, I am yet to play XCOM 2. Since release, I’ve been considering picking it up, as turn-based strategy is very much ‘one of my jams’. A combination of never remembering to pick it up during a sale and not being able to put myself through the masochistic endeavour that is a full campaign have prevented me from getting round to it (to say nothing of my Steam library backlog). Another one of my jams is UK sci-fi comedy Red Dwarf. It focuses around Dave Lister, a lazy, dysfunctional slob who becomes the sole survivor of the human race after accidentally spending three million years in stasis aboard a spaceship. He is accompanied by a hologram replacement of his extremely fussy bunkmate, Arnold Rimmer, a creature that evolved from the descendants of the ship’s cat, a cleaning robot named Kryten, and Holly, the ship’s senile AI. It’s extremely good, and now it’s being combined with XCOM 2. XCOM 2 is easily one of the best strategy games on PC. 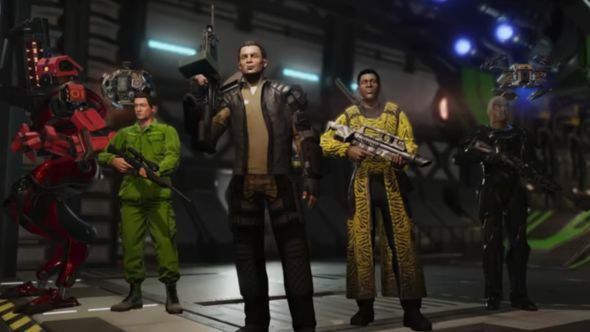 As long as you own XCOM 2’s expansion, War of the Chosen, you can download the Red Dwarf Voice Pack from the Steam Workshop. The mod contains over 1000 voice lines from the show’s main cast, with plans to introduce more lines for the main cast and some more for minor cast members. You can check out a trailer of the five in action, with some extremely well-designed models (other than Holly, who in the show is quite regularly forced to go planetside on what looks like a 90s TV), below. Alternatively, you can check out some more great XCOM 2 mods. The mod’s creator, Red9, does acknowledge that the mod was inspired by another Red Dwarf Voice mod, but this version includes lines from all 12 of the show’s series. It also comes with suggestions for how to build around your new characters based on their personalities. If nothing else, it’s a good excuse to finally dive into one of the best strategy games of recent years.